Milton Centre for the Arts, 1010 Main Street E.
Be the first to experience the Milton Philharmonic’s production of La Traviata in this exclusive intimate performance. Beatles Tribute: Experience the energy and optimism of the 1960s through a retrospective of the hits of The Beatles. Join the Milton Philharmonic Orchestra and renowned guests, The British Invasion, for this tribute to all things Beatles! 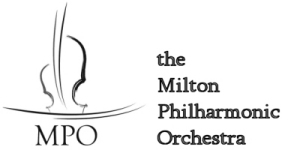 Bring the whole family to enjoy a performance and meet local musicians from the Milton Philharmonic Orchestra.